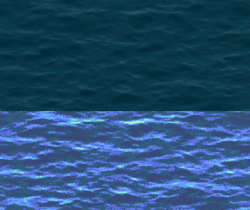 Here's a awesome tileable deep ocean/water animation. Included is the one made for The Battle for Wesnoth and one I threw together in 2 hours to work with my ZRPG tiles. Now here's a story to go with the lovely H2O. The Battle for Wesnoth is maybe the most polished up and feature complete FOSS game out there that I was lucky enough to discover back in 2008. Here's my BFW story. I downloaded it on the home computer and my dad ended up getting addicted to killing orcs on BFW. Ocassionally over the past decade my dad and I would update to the latest version and play new campaings checking out the new features. It was fun watching the game grow and share that fun with my dad. There's been 2 water animations made for BFW. This is the newest one made by zookeeper in 2015. I contacted him a couple days ago and he said to consider his art public domain. Which is what I hoped he'd say and really makes me appreciate the FOSS community. Check out the ZRPG Tiles that I'm organizing using this water animation and Jetrel's beautiful art. 1. Include zookeeper's shallow water with this submission. 2. Maybe be nice to give credit to his real name. Hello, how do I converted the images to 32x32? Zookeeper's water is 342x180. I used Gimp: Tools->Transform Tools->Scale , and shrunk the image to the nearest number divisable by 32. I didn't want to shrink it too much at first and ended up with 320x128 which is 10 tiles wide and 4 high. 40 tiles total. I know thats too much. But the idea is there. How I'm going to use this in ZRPG tiles is still WIP. I'm going to further shrink this so it works better in the "orthographic gameview". When I do I'll comment here and update this submission. The original I shrunk is in there (oceannewresized.gif) if you want those frames you have to pull them out the gif. 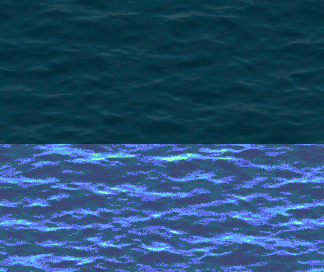 Otherwise the ZWater.png has all 21 frames of my quick recoloration (320x128). Oh!!! I will use your recoloration then! It fits in 32x32 style, thank you for help me. I'm trying to do a "ZRPG Beach" I'm having some problems trying to import then but im sure that I will import them all if I keep trying. I just shrunk it to 160x64 which is only 10 tiles each for the images. 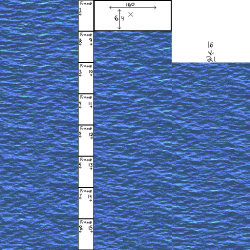 It works great now for an orthographic view using 32x32. I was able to fit it in a 512x512 image so that will make it a lot easier to use. 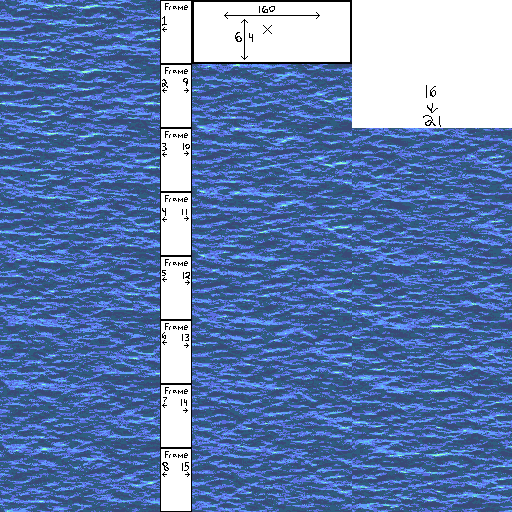 It's the "Zwater(160x64).png" I put a little info there to help with figuring out how to use it. Woww !! Thank you, you're the best spriter that I have seen, then some things are done in my game I will make a video and link you as well I will credit you in the game :D!